The 2016 election season was like no other. 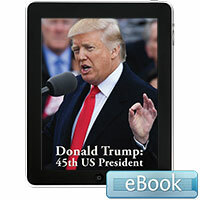 Billionaire and international celebrity Donald Trump dominated both the primaries and the general election. His reputation—as a negotiator; salesman; reality show host; and builder of glittering skyscrapers, golf courses, and casinos—set him apart from all of the other candidates. His campaign set him apart as well. He commanded public and media attention via Twitter. He uttered what many considered to be outrageous statements—offending some Americans with his comments about women, Mexican immigrants, and Muslims and horrifying others with his support for seemingly discredited theories. He also spoke about the need for jobs and recapturing a way of life that seemed, to many of his supporters, to be slipping away. In Trump’s campaign appearances, interviews, speeches, debates, and tweets, the recurring themes were: anger, frustration, and disillusionment—a world and a way of life gone awry. Donald Trump broke all of the rules of traditional political campaigns. Few, even in his own party, thought he would win. But he did. 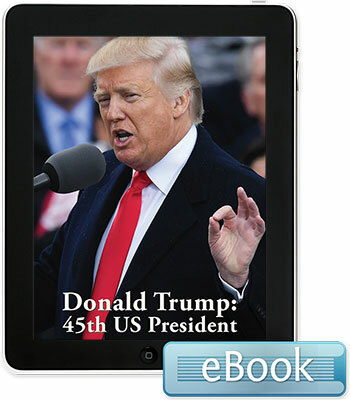 Donald Trump: 45th US President explores Trump’s early life, his formative years, his career, and the campaign that brought him into office as America’s 45th president.